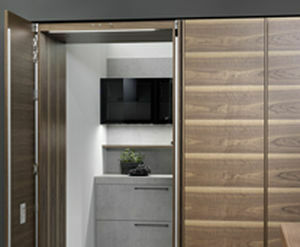 Warm woods prove the ideal partners for pairing with timeless stainless steel fronts. The classy looking walnut bookmatched veneer and real stainless steel front ino(x) set the tone for this sophisticated design. 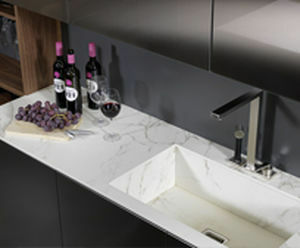 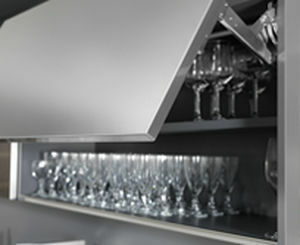 A material mix of stainless steel and wood conveys high value, a lasting quality and elegance. 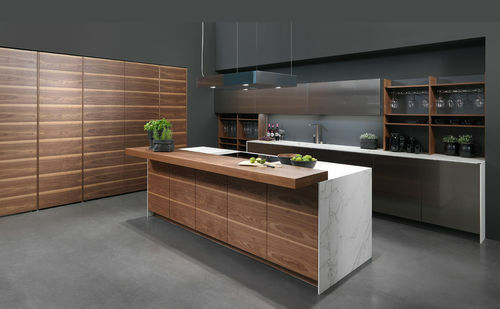 The stainless steel and wood combination looks elegant, yet at the same time completely natural. 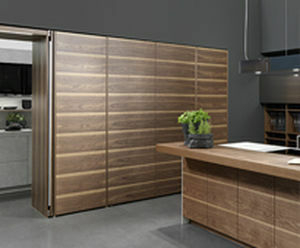 The wood radiates a warmth that perfectly complements the more cool aesthetics of the stainless steel.